I’m a William Tennent High School graduate with a Bachelor’s of Science in Mechanical Engineering from Drexel University. I started with Barry and CrossFit Generation as a swimmer back in high school. I continued to do CrossFIt as I could while at Drexel and I played soccer there as well. My entire family, including both parents, sister (when she’s home visiting) and girlfriend all do CrossFit at CFG so the advancement from athlete to coach seemed to be an appropriate progression for me upon graduating college and settling in this area. I have my CFL1 certificate and am most interested in are the gymnastics based movements. I believe CrossFit works because it’s always something different from day to day and it builds a community where you can have friendly competition. As a former athlete, initially CrossFIt gave me a sport to do after college and now it continues to help me maintain a healthy lifestyle. 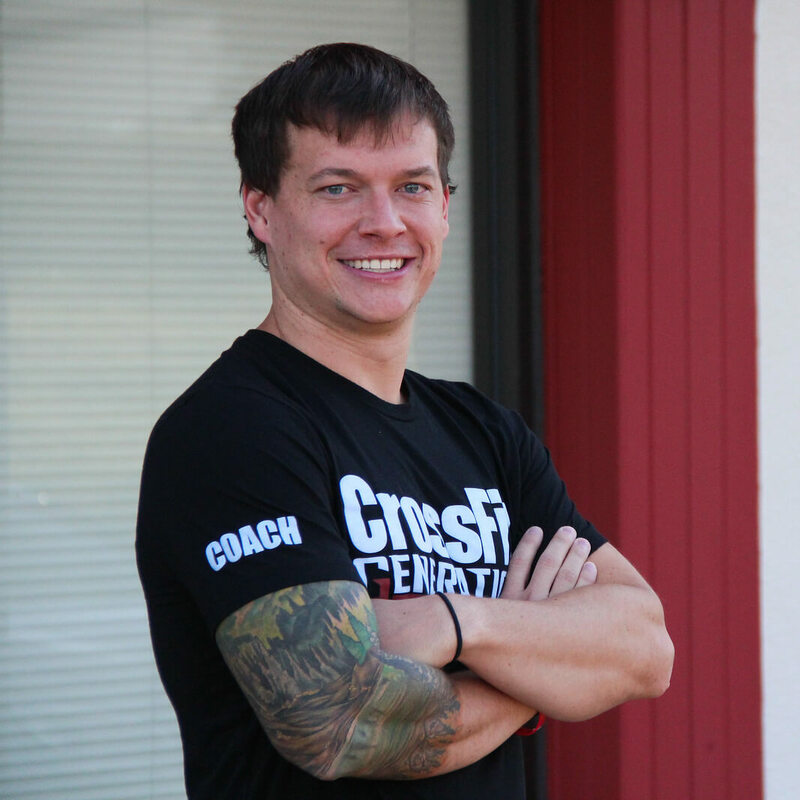 I’ve worked out at a number of CrossFits and CFG provides a more thorough warmup and more explanation and demonstration of movements for the WODS than anything else I’ve experienced. When summer hits you can find me at the lake, in the winter I’m watching the Eagles. I enjoy traveling with my girlfriend Caitlyn. My favorite movie is Law Abiding Citizen and album is Meteora by Linkin Park.